Mike Greene - mgreene@shawmedia.com Ben Melms tees off on the 1st hole during the McHenry County Junior Golf Association's Pinecrest Open Monday, June 25, 2012 at Pinecrest Golf Club in Huntley. 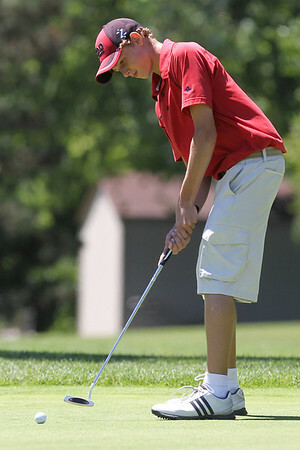 Mike Greene - mgreene@shawmedia.com Jake Grabner follows through while teeing off on the 1st hole during the McHenry County Junior Golf Association's Pinecrest Open Monday, June 25, 2012 at Pinecrest Golf Club in Huntley. Mike Greene - mgreene@shawmedia.com Brad Spoeth tees off on the 8th hole during the McHenry County Junior Golf Association's Pinecrest Open Monday, June 25, 2012 at Pinecrest Golf Club in Huntley. 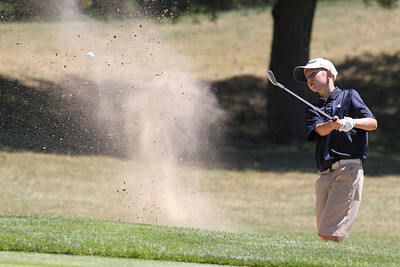 Mike Greene - mgreene@shawmedia.com Jake Grabner hits out of a sand trap near the green on the 2nd hole during the McHenry County Junior Golf Association's Pinecrest Open Monday, June 25, 2012 at Pinecrest Golf Club in Huntley. Mike Greene - mgreene@shawmedia.com Brad Spoeth putts on the green of the 8th hole during the McHenry County Junior Golf Association's Pinecrest Open Monday, June 25, 2012 at Pinecrest Golf Club in Huntley. 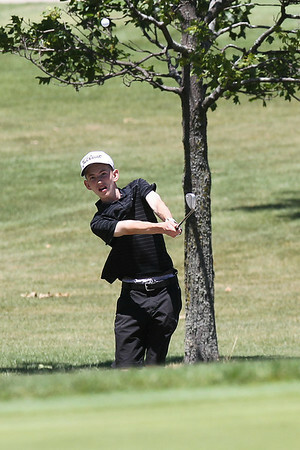 Mike Greene - mgreene@shawmedia.com Adam Poole hits an approach shot during the McHenry County Junior Golf Association's Pinecrest Open Monday, June 25, 2012 at Pinecrest Golf Club in Huntley. Mike Greene - mgreene@shawmedia.com Larisa Luloff prepares to tee off on the 1st hole during the McHenry County Junior Golf Association's Pinecrest Open Monday, June 25, 2012 at Pinecrest Golf Club in Huntley. Mike Greene - mgreene@shawmedia.com Danielle Roulo watches her drive on the 1st hole during the McHenry County Junior Golf Association's Pinecrest Open Monday, June 25, 2012 at Pinecrest Golf Club in Huntley. Mike Greene - mgreene@shawmedia.com Danielle Roulo lines up her putt on the 1st hole during the McHenry County Junior Golf Association's Pinecrest Open Monday, June 25, 2012 at Pinecrest Golf Club in Huntley. 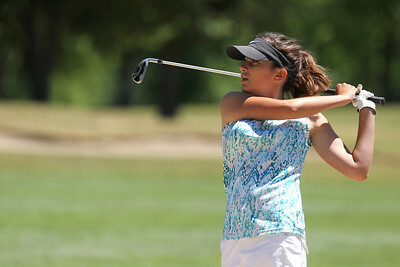 Mike Greene - mgreene@shawmedia.com Jenna Kurosky hits her second shot on the 2nd hole during the McHenry County Junior Golf Association's Pinecrest Open Monday, June 25, 2012 at Pinecrest Golf Club in Huntley. 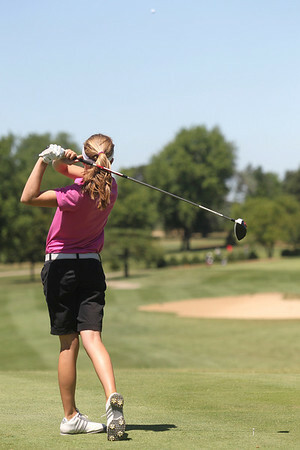 Mike Greene - mgreene@shawmedia.com Emily Jean tees off on the 5th hole during the McHenry County Junior Golf Association's Pinecrest Open Monday, June 25, 2012 at Pinecrest Golf Club in Huntley. 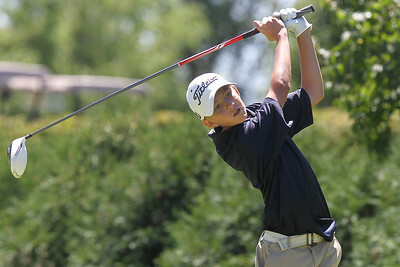 Ben Melms tees off on the 1st hole during the McHenry County Junior Golf Association's Pinecrest Open Monday, June 25, 2012 at Pinecrest Golf Club in Huntley.